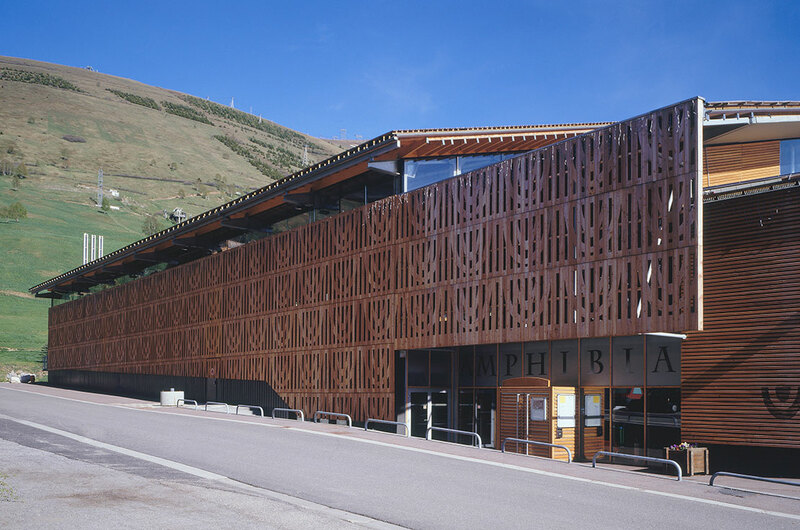 Like many winter sports resorts built in the 1960s, the 2 Alpes village has identity problems: large buildings put up with no overall design rationale, chaotic relationship with the landscape... Looking for a new image to counter the expressions of a sometimes excessive modernity, the mountains want to return to their roots. 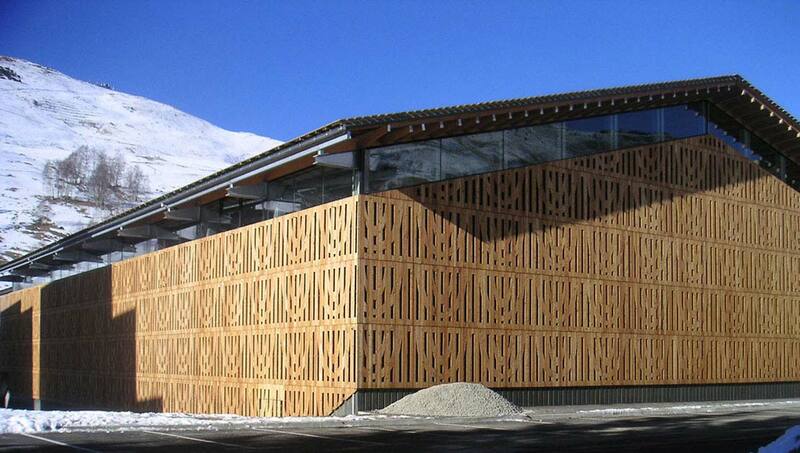 The client wanted a "traditional" building, which is totally outside our normal fields of interest. 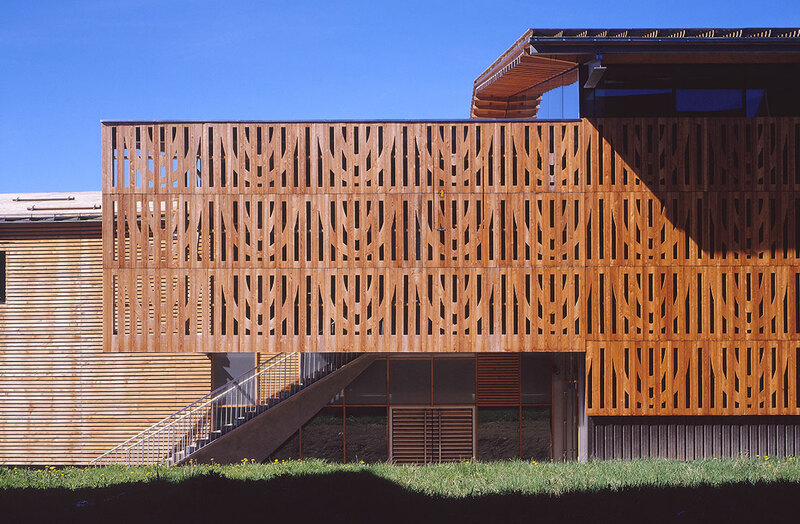 We transformed the requirement by making this project an experiment in divergence from the traditional mountain architecture language and from the archetypal chalet. 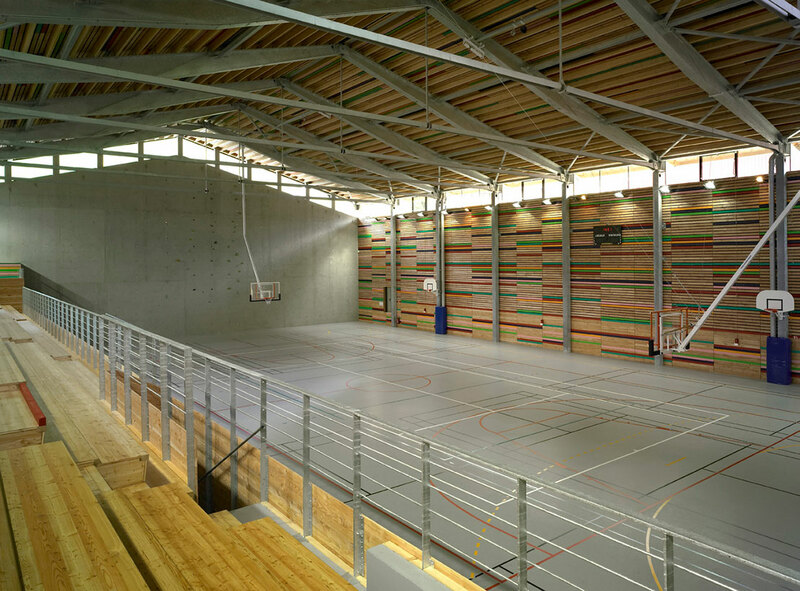 The project is contained within a basic rectangular structure with dual-section roofs, like a barn. 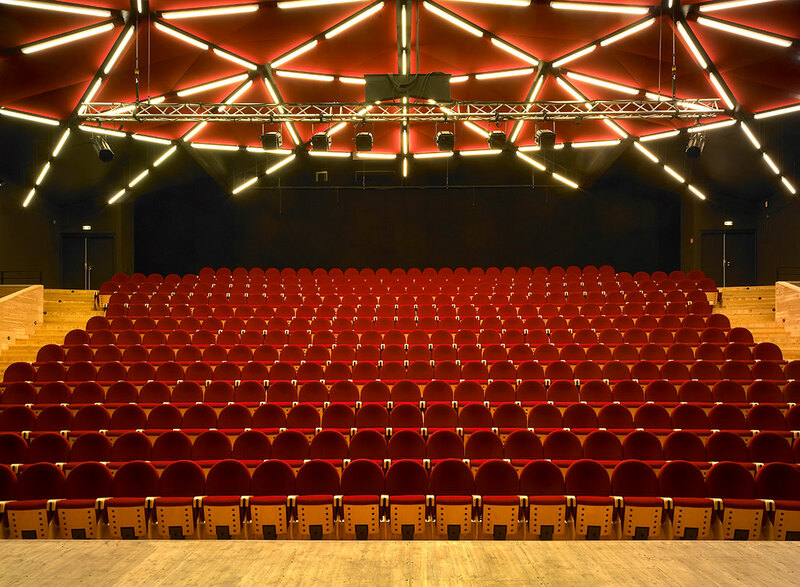 It is a telescopic structure split into 3 nested sections – the sports hall, the hall and communal spaces, the theatre. 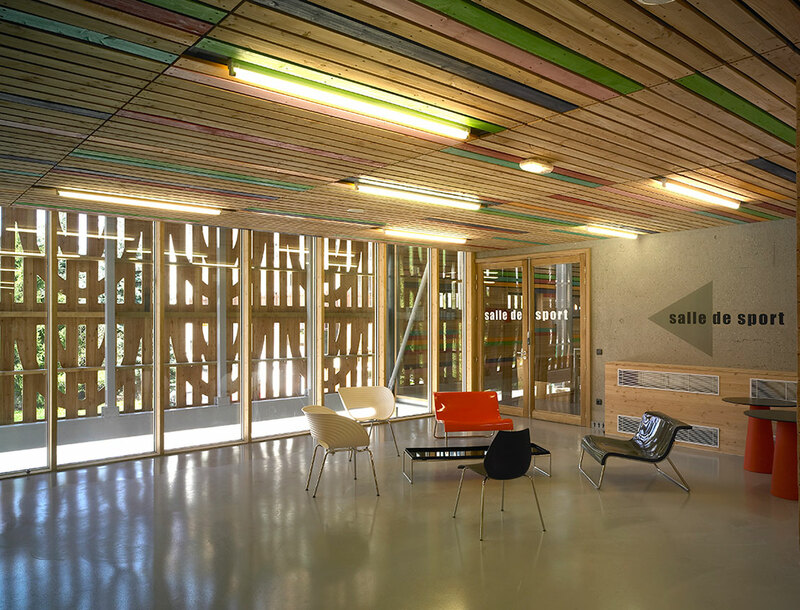 Both walls and roof are entirely faced with wood. 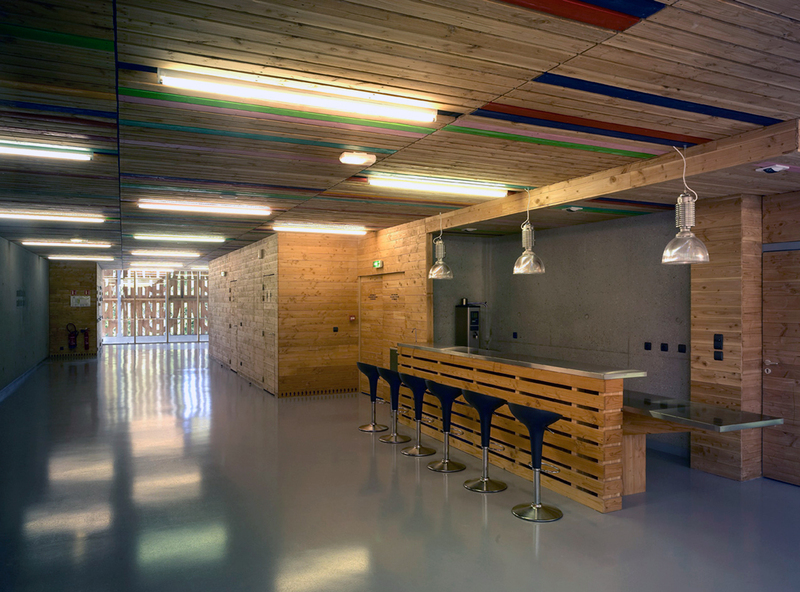 Wood is used here as a cultural referent for the mountain image. 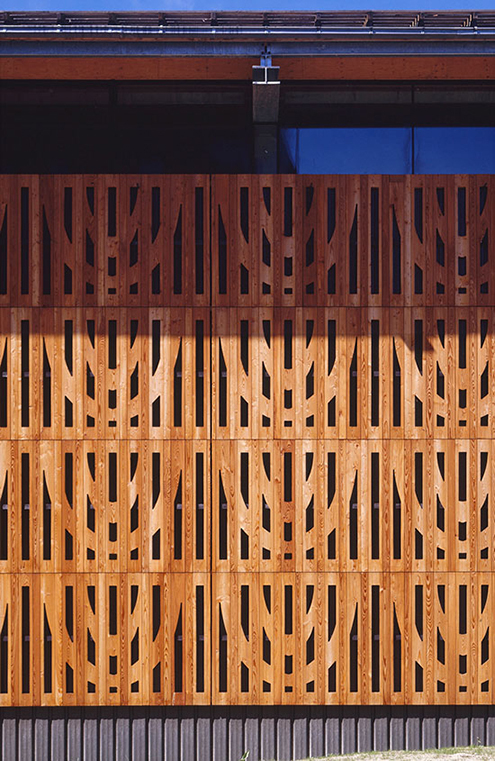 The timber motif came into traditional regional architecture with the invention of the band saw. It is on the rise again because of the development of automatic cutting systems and computer-controlled cutting. 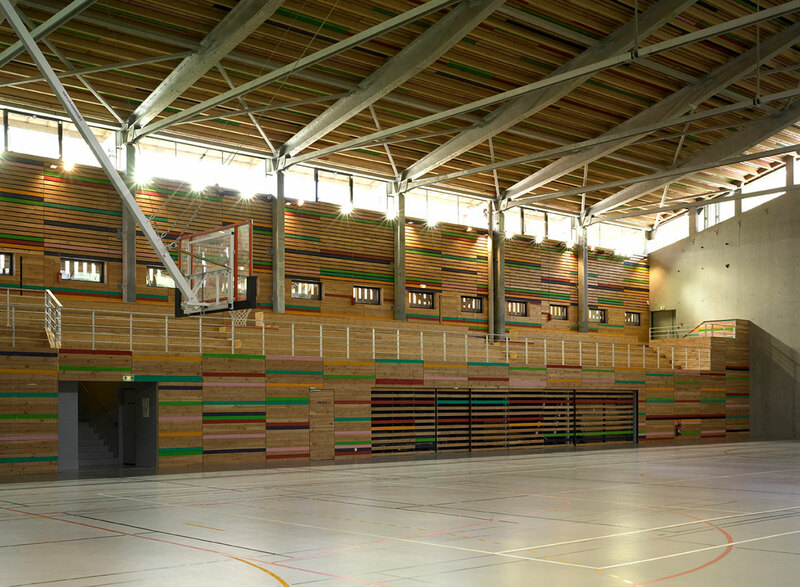 Reflecting the return to popularity of this technique, the whole height of the sports hall is covered with a timber lacework based on a motif copied from the guard rails of an old chalet. 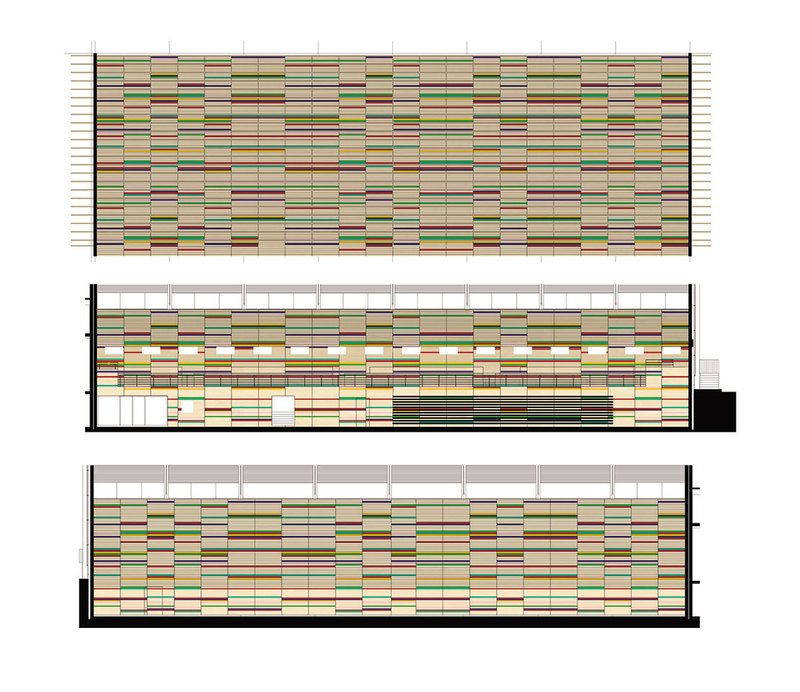 The pattern, bloated and multiplied to form a regular grid, changes its status and becomes a repetitive, abstract composition. 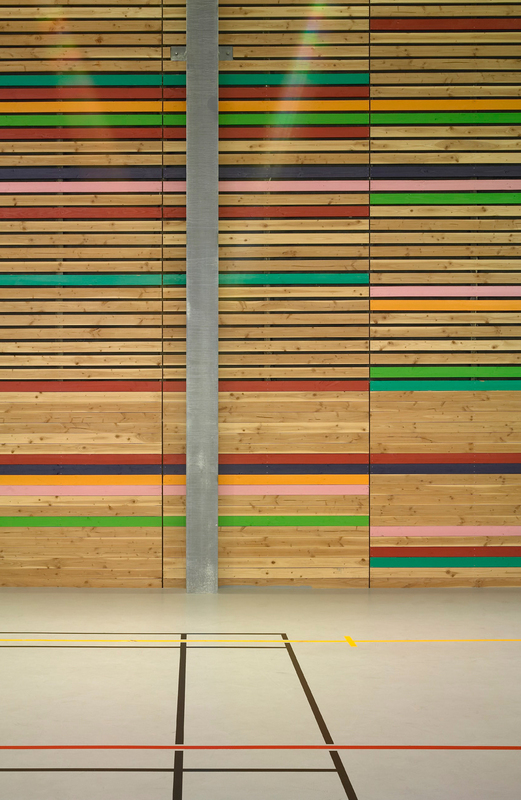 Inside the sports hall and the communal spaces, the walls and ceilings are faced with boards, some of them in natural wood and others painted in several colours, in order to generate a sort of "dyeing” effect. with François Deslaugiers, associate architect.